Let's start with that top pic. Some of you might have the same VHSs sitting around. Some of you might not even remember VHSs. 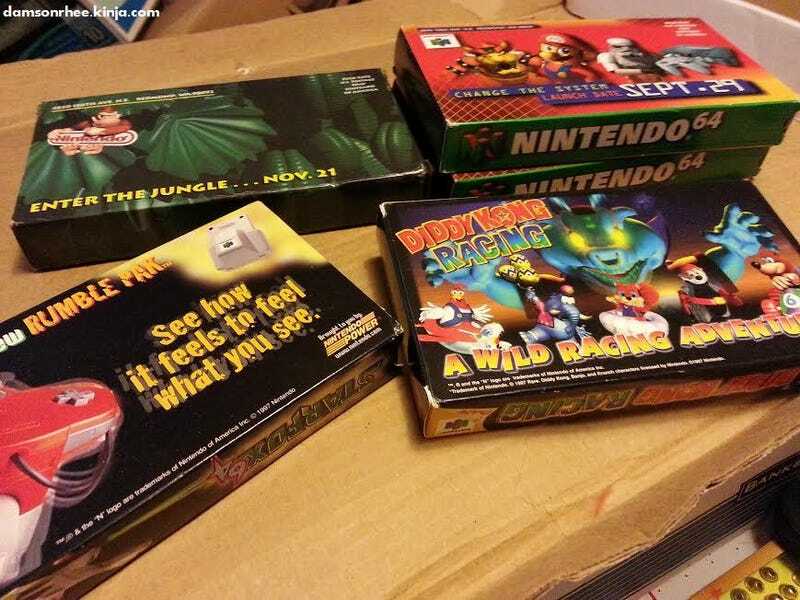 In any case, these amazing game videos were given out to subscribers of Nintendo Power in the 90s. These were basically YouTube videos before the age of YouTube. Or like Nintendo Directs, direct to your house...as a video. You get the idea. Anyway, you can see Nintendo's response in my first picture. Two videos! They sent the original back and a new one that worked. Also, Mario 64 as the best game ever? I was young and naive. And I might have started crushing on the one guy in the videos. His name was Henry. I'll stop now, before it gets more awkward. Moving on, we have this little gem of a book. Apparently I've been dreaming of a gaming computer for a long time. I couldn't find a date on this magazine, but as I flipped through the pages, I found some interesting games that brought back memories. 90s game descriptions! PC-13 for PROFOUND CARNAGE! Simply the best. I'm seeing a distinct lack of capital letters here. Self-sacrifice (explode) has me in stitches though. And here's the part you learn some more about young Damson. I loved logos growing up. I would draw my own, or copy others. I would also draw them everywhere. I remember mastering the Super Metroid logo, drawing Spot from 7-Up, and so many others. So how's this for a slice of teenage me? Obsessed (to the point of writing notes with horribly spelled names) with Akira? Check! Obsessed with Final Fantasy? Check! Also, some Ace of Base and Bio-Dome in there too. Now that I've thoroughly embarrassed myself, I'll leave you one last picture of the growing tower of system boxes that will probably fall over before completion. The Micro box still has the extra faceplates in it. I'll snap a pic of that next time. Oh, and check out TAYClassic! You never know what kind of treasures are laying around in that attic.